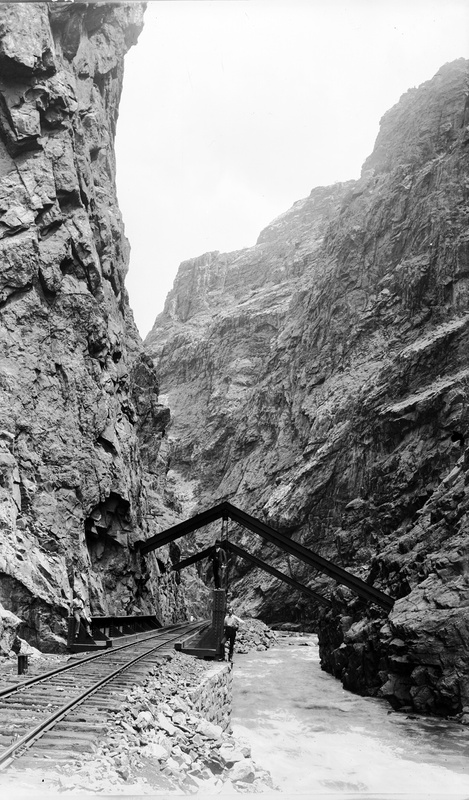 The Hanging Bridge, spanning the Royal Gorge's most narrow section. The narrowness of the canyon en route the the rich minefields of Leadville, Colorado was the cause of the corporate feud that became known as the Royal Gorge War. Image by William Henry Jackson (Courtesy of History Colorado, William Henry Jackson Collection, Scan #20101516). To purchase a copy of this image, please contact the Photo Librarian at photos@state.co.us.